Given the ubiquity of Photoshop in all its functional capacities and linguistic uses, some would-be photographers probably wonder what alternative options are available when it comes to having a way to edit their digital images; whether this interest in non-Photoshop alternatives is because you can’t or don’t want to pay full price for an older version of Photoshop or pay a monthly subscription for the current version, or because you would rather learn the ropes of image editing before sinking a lot of money into something, you’ll be glad to know that there are several viable options out there for you. And the best part? They’re free! Google’s image editing and organization application gives you all the basics: cropping, facial recognition, red-eye reduction, tagging, photo filters and editing effects split toning, vignette, borders, etc. Picasa also features a very cool side by side editing feature that allows you to compare two different images or compare an original and an edited version side by side as you make edits. And you will be happy to know that raw files are supported. It’s a Google product so, naturally, it integrates perfectly with Google+. You also get seamless access to printing services via providers like Snapfish and Shutterfly. Again, it’s a Google product so, naturally, there’s always a chance Picasa could just disappear one day. Enjoy it while it’s still around. GIMP is widely considered a competent, powerful Photoshop alternative. The regular GIMP users I know sing its praises and seem somewhat astonished that it’s free. Sure, there are some missing features such as Photoshop’s powerful Adjustment layers, and GIMP’s text function is not as well endowed as the one found in Photoshop, but none of these things are necessarily deal breakers. And because it’s open source, there are a nice variety of plug-ins available to make up for functions not native to GIMP; you’ll need such a plug-in for raw processing. Perhaps the biggest complaint is the user interface that some people find clunky and outdated, but it’s free — remember? Yes, something Photoshop related appears in a list of free stuff. But don’t get too excited. 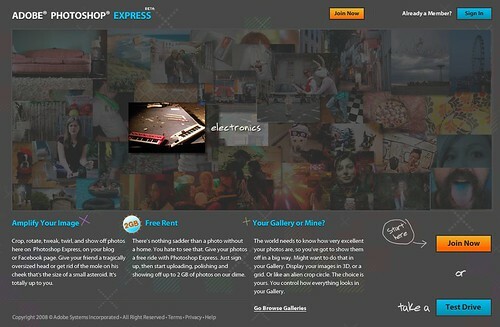 Photoshop Express Editor is a very basic web app. You get the standard provisions like rotate, crop, auto correct, white balance; and you can make some fun edits such as color pop, crystallize, or decorate. Express Editor doesn’t do a whole lot compared to some of the other image editors featured here, but it is user friendly and everything it does do, it does well. Additionally, if you register for a free account you get access to slideshows, a personal gallery, and 2GB of storage. Express Editor is also available for mobile devices. Probably the most obscure and oddly named software among the others on this list, Chasys Draw IES is a wonderfully versatile application. 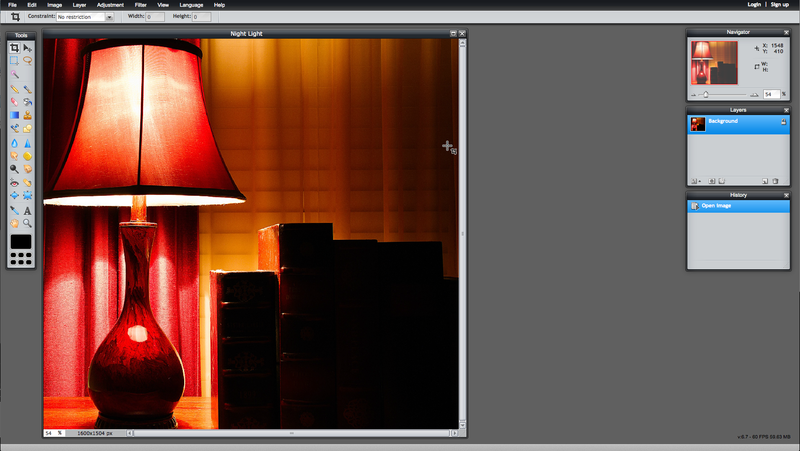 The photo editor features layer support, plentiful lighting and color adjustments, and support for Photoshop plug-ins. Beyond its image editing prowess, Chasys Draw will likely garner further attention for its included raw processor, and its ability to create animations and record screen activity. Pixlr is interesting because it is actually a trio of web based image editing apps. The most basic component in the suite is Pixlr-o-matic; it’s an Instagram-like app that includes all sorts of filters, effects, and borders. You can also download the free iOS or Android Pixlr-o-matic app if you need a little more flexibility. Pixlr Express ups the ante a bit by integrating Pixlr-o-matic’s text overlays and special effects into a more robust iPhoto-like environment where you can crop, enhance, de-noise, fix red-eye, etc. Finally, the flagship Pixlr Editor app is surprisingly powerful, sporting features such as layers, well thought out menus, burn and dodge tools, a healing tool, multiple windows, and more. The user interface is reminiscent of Photoshop and even uses the same keyboard shortcuts as Photoshop. And like Pixlr-o-matic, Pixlr Express and Pixlr Editor are available as free downloads for mobile devices. This list, of course, is in no way a comprehensive collection of all the free image editors one could consider; this is really just the tip of the iceberg. The primary purpose of the list is to highlight the fact that no matter your skill level, you have worthwhile options available that won’t cost you a thing.